I recently got my copy of The Art of Tinkering and I must say, it is a beautiful book. It just looks amazing. It’s full of ideas and images and makers and artists. I’ve only read bits and pieces so far, though I’ve spent a lot of time pouring over the images and admiring the layout. Oh, I should also mention that one of my photos is in the book! On page 183 is a photo of the MaKey MaKey Banana Pong I created last year. 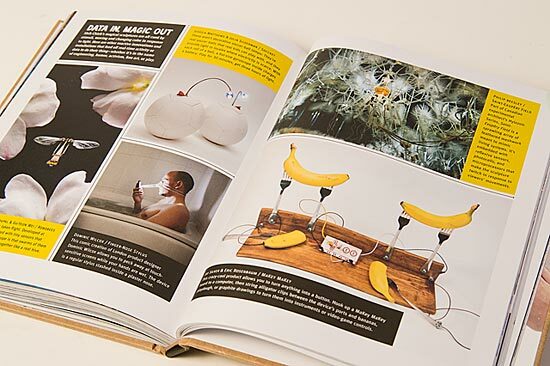 If you’re at all interested in creating things, or perhaps you just need some inspiration from others grab a copy of The Art of Tinkering. Posted on Monday, January 20th, 2014 at 2:55 pm. Subscribe to the comments feed. Both comments and pings are currently closed. Post on your own blog.